I loved my dolls when I was small. 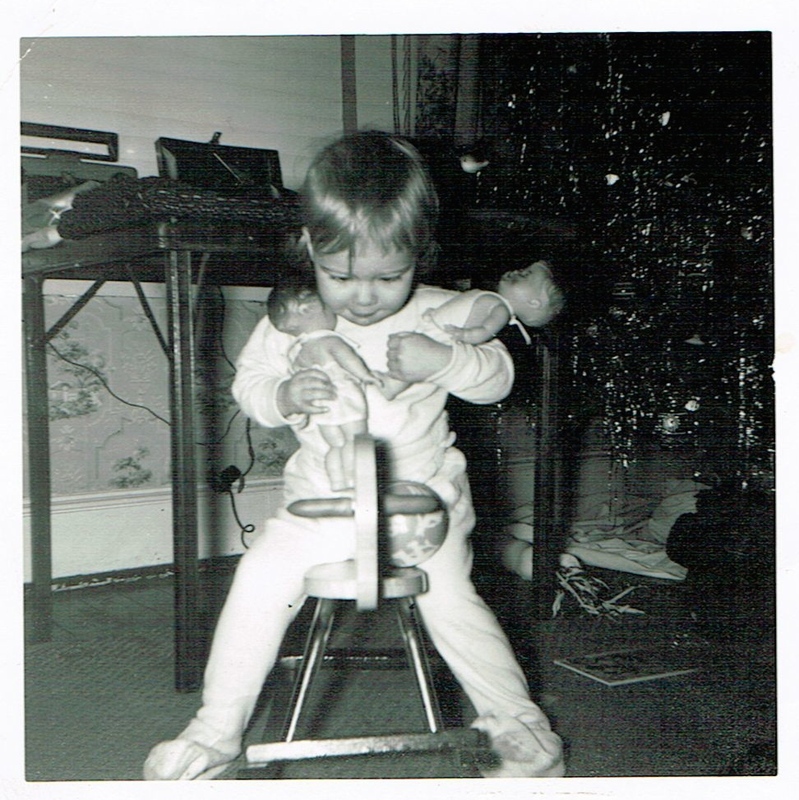 There was nothing better than a new doll on Christmas morning. I played hard with my dolls, so few of them survived. 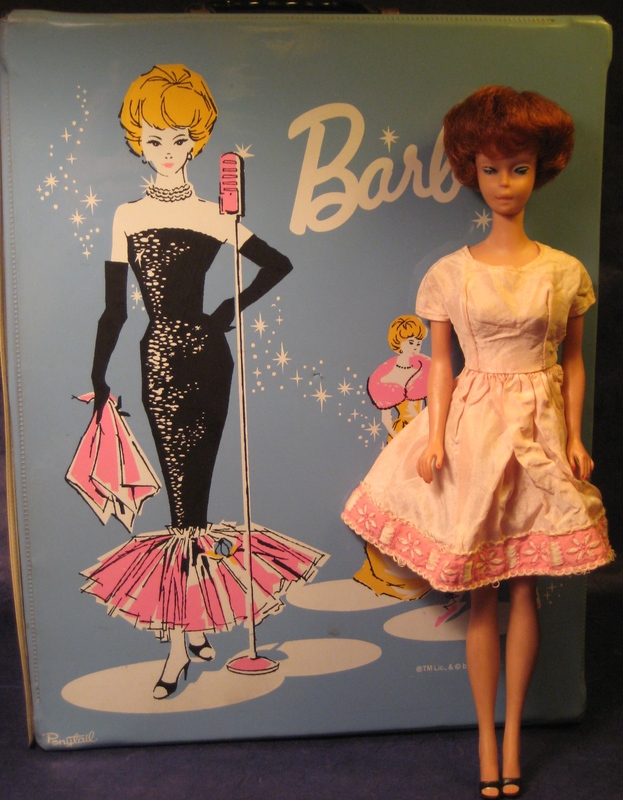 As with most girls at the time, I started with baby dolls, moved on to girl dolls, then graduated to Barbie. 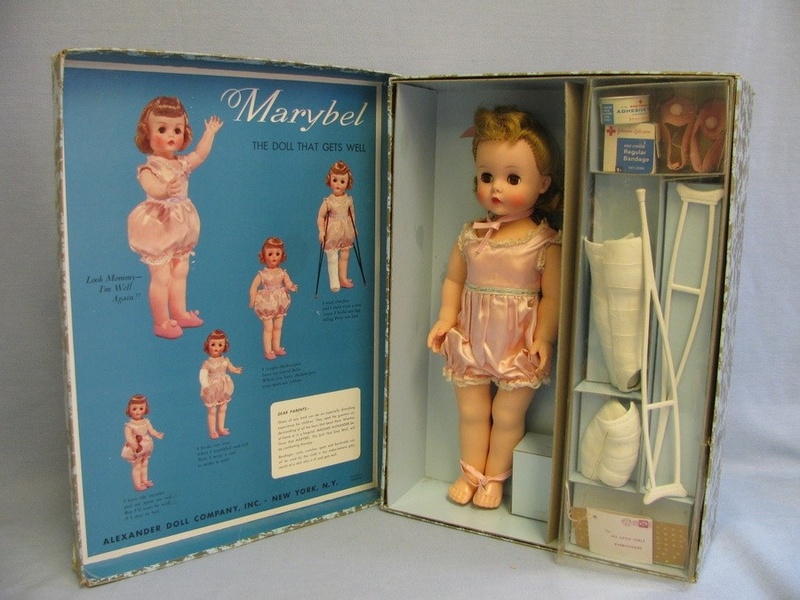 The first doll I really remember was Marybel Gets Well. I loved making her sick or injured, then curing her. Since she couldn’t open her mouth, I ate her pills for her. She didn’t survive. As an adult, I hadn’t thought about her until I saw a complete Marybel set at a short-lived Madame Alexander museum in Alexandria, VA. While visiting the museum with my husband and 2 young kids, I had a physical reaction when I saw her. I felt as if someone had travelled back to my childhood and yanked back a lost memory. I got Barbie, her trunk and two outfits for Christmas in 1962. My Barbie has a bubble cut hairstyle, not the iconic ponytail. So, I always thought of her as a grown woman, like Jackie Kennedy or my mom, and not a teenager. Since the outfits cost more than the doll, my mom sewed most of her wardrobe. The other neighborhood girls around my age got Barbies at the same time. Surely, thanks to our moms’ daily coffee get togethers, this was no accident. We played with our Barbies for years. Later, my nieces, my daughter, and then my granddaughter, Supergirl, played with my Barbie. Soon, being unhappy with my job in a doctor’s office, I began pondering alternate ways of making a living. Naively, I settled on doll making and strove to find a direction. 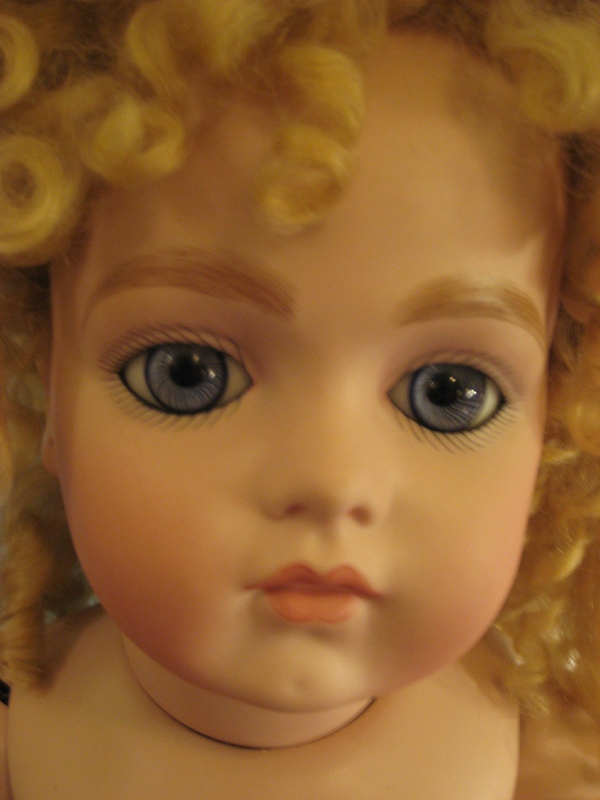 I took porcelain doll-making classes, starting with modern reproduction dolls, and became good at it. The first doll I made. 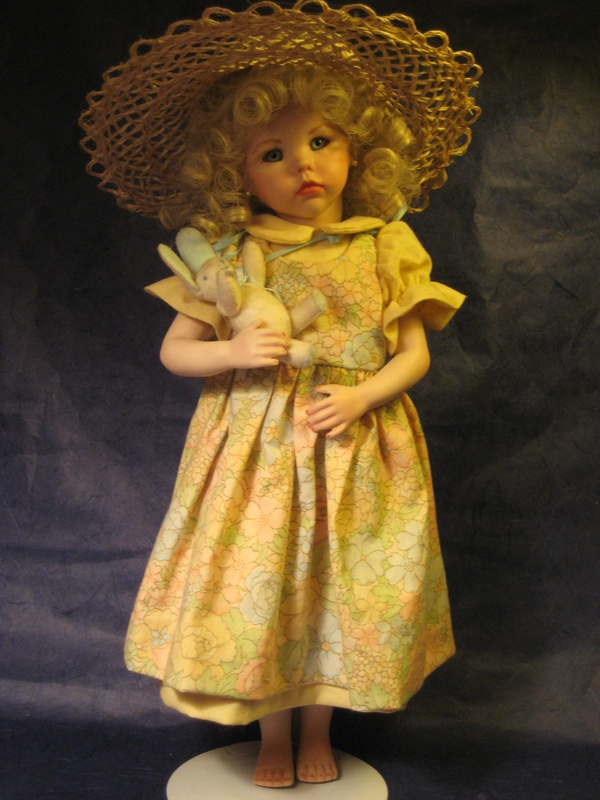 I then moved on to antique reproduction dolls. 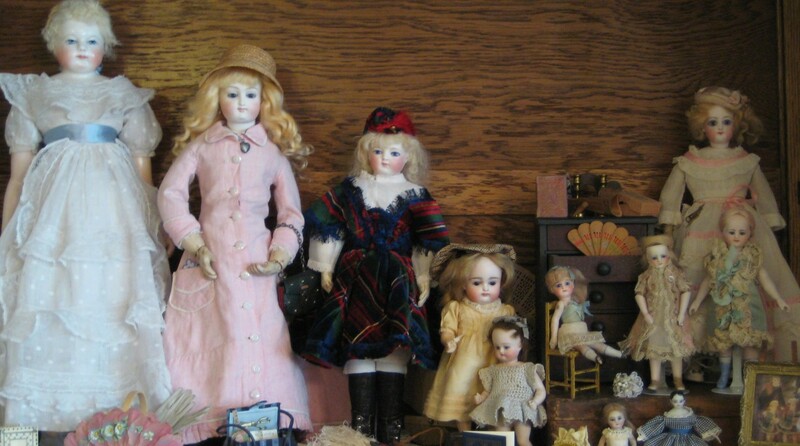 Small dolls, like all bisques and Mildred Seeley’s Millettes appealed to me the most. The Millettes were different French doll molds, all around the same height of 10″, and fit the same composition body. 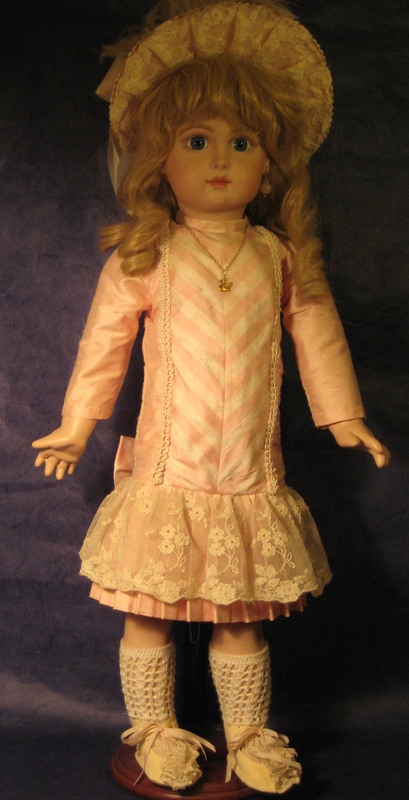 That way I could make many different dolls with only one set of clothing patterns. I bought a kiln and doll molds and plunged ahead. Surely, making and selling them would be an easy and profitable business. A few of the dolls I made. In early 1994, I switched to part time then eventually quit my job at the doctor’s office to sell dolls and work with my husband in his newly formed business. I scheduled my first show, a craft show, for 2 1/2 months away and started making dolls. I poured, cleaned, painted and fired. I sewed, made jewelry, wigs and shoes. I designed my display and went to the show with 10 dolls and sold 2. Not too bad, but I soon figured out that I should target my potential customer better and discovered doll shows. I also made a few larger dolls. 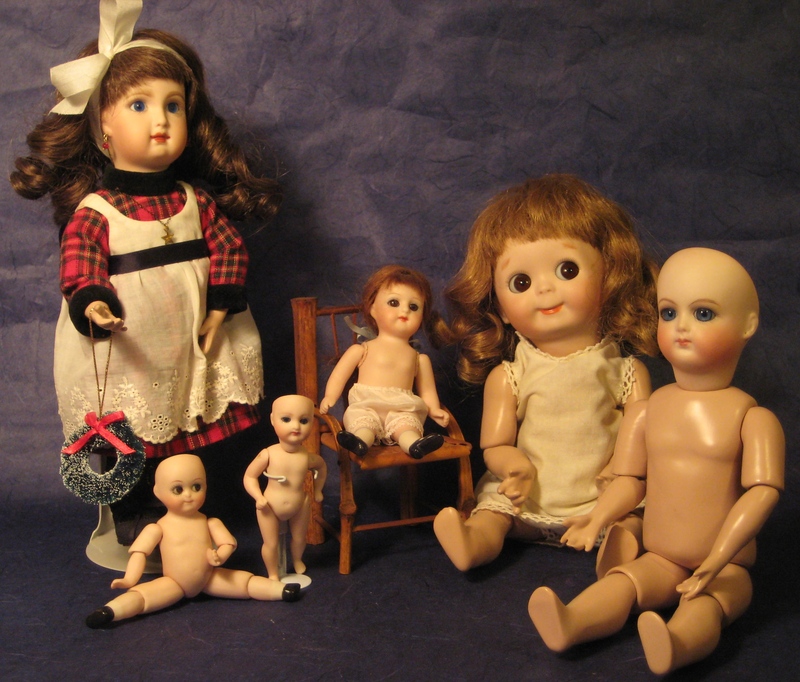 I sold a lot of my dolls, under the name “Cygnet Dolls”, at doll shows for around 8 years. It was never really profitable. I made a lot of “business purchases” on doll stuff I really didn’t need. Spending so much time at doll shows gave me the opportunity to study other people’s booths, get to know some wonderful doll sellers, and that made me hungry to collect. A Bru I made for me. Still naked. About the time that many local doll shows disappeared, I got burned out and quit making and selling my dolls. I sold my kiln and have sold most of my remaining dolls and doll-making supplies. So, here I am today, collecting, playing with, sewing for, and sharing my dolls with my granddaughter and with you, my readers.